wall, now I can totally see myself starting to have a thing for teacups as well. Not only would I hang these up in my kitchen but I would also hang it up in a bedroom. 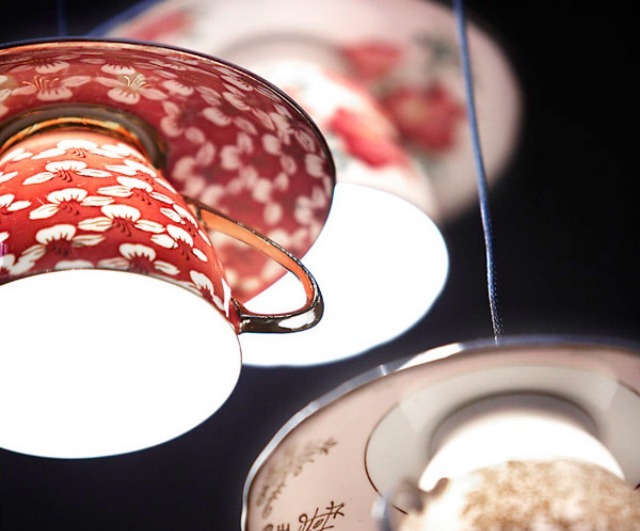 I think these teacup lamps would make any little girl's room instantly pretty. 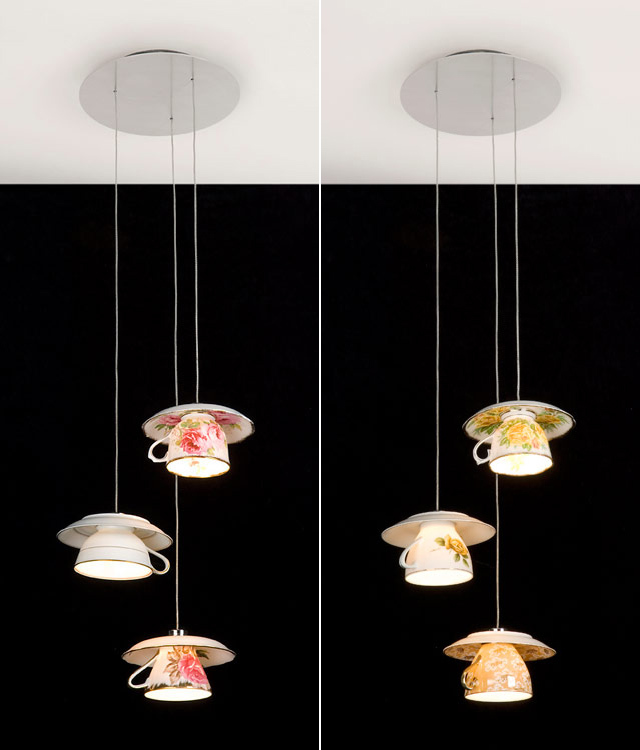 What about you, would you ever use teacups as light fixtures?